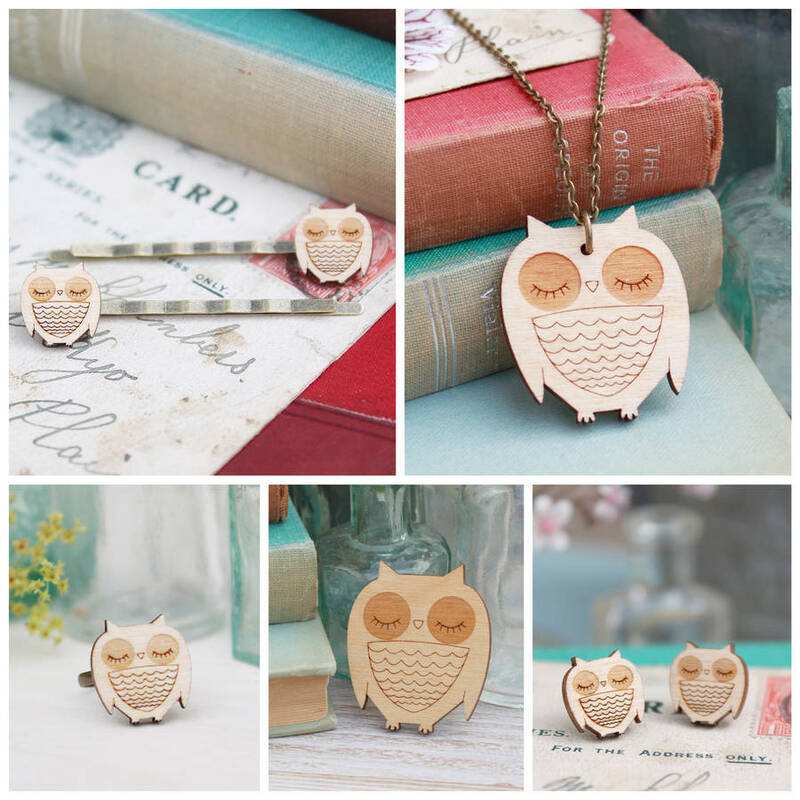 Owls, we can't get enough of them! 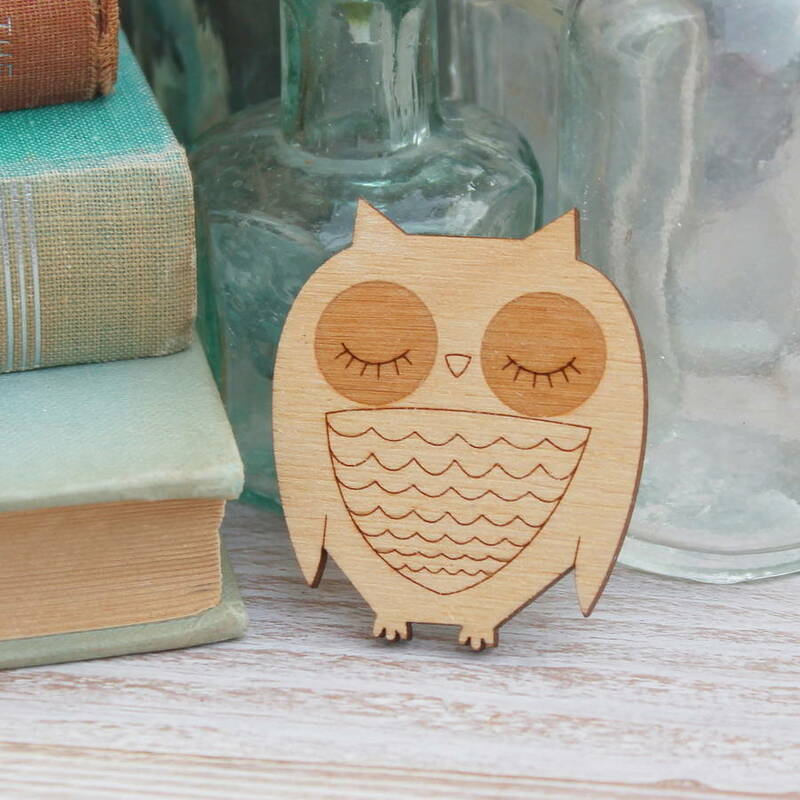 If you can't resist the cuteness of owls then this wooden owl brooch is perfect for you! 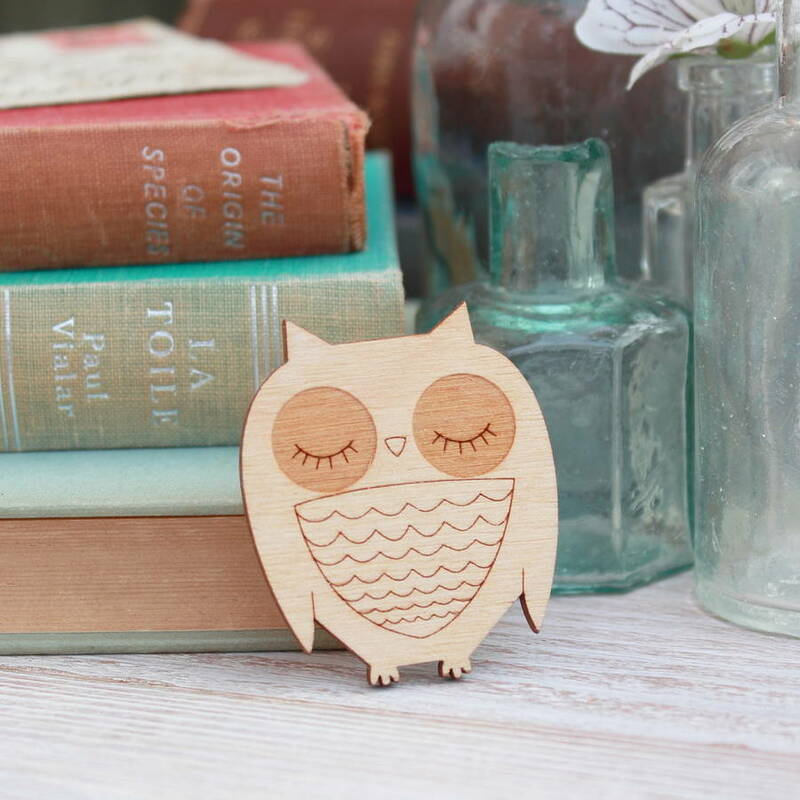 This is the ultimate gift for the owl lover. 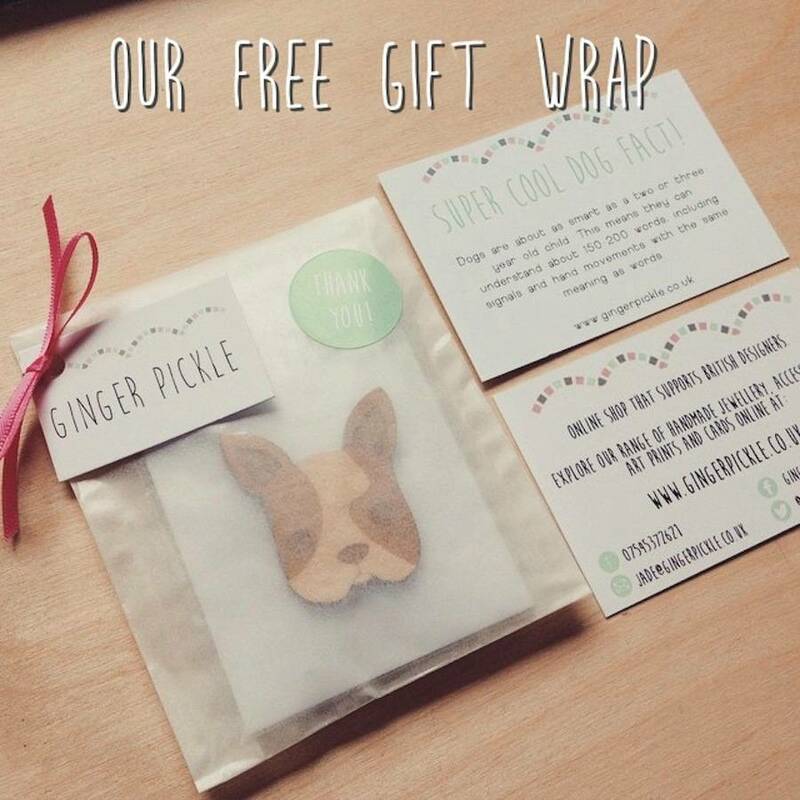 A perfect treat for your sister, daughter and even the perfect gift to yourself. 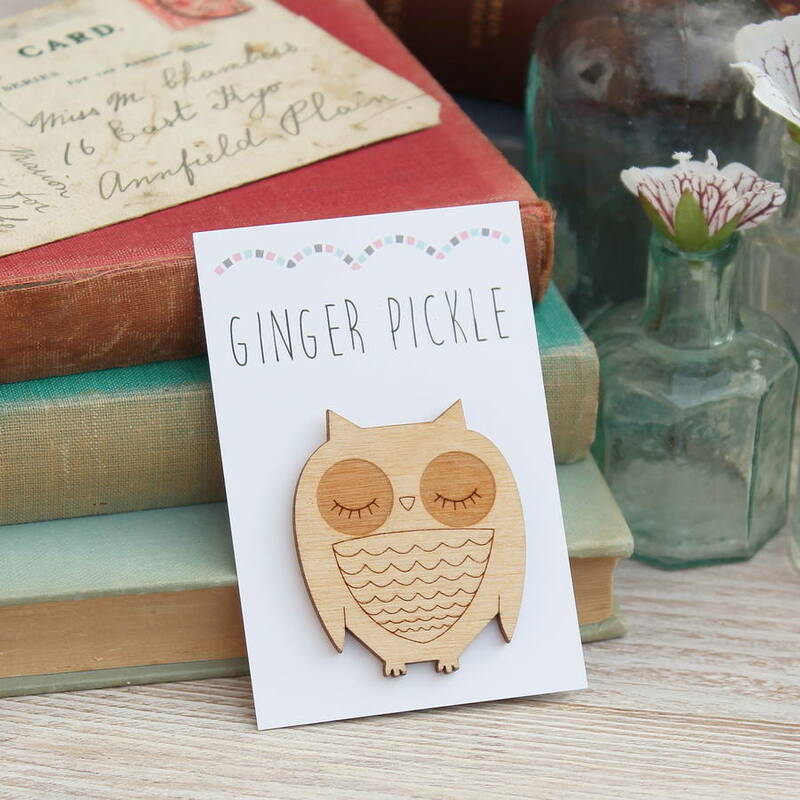 If you want to treat your mum, or cheer up a friend for being the best friend ever or simply want to wear it because owls are adorable..then this wooden owl brooch is perfect for you. The perfect way to bring happiness and joy into your life and to those around you. 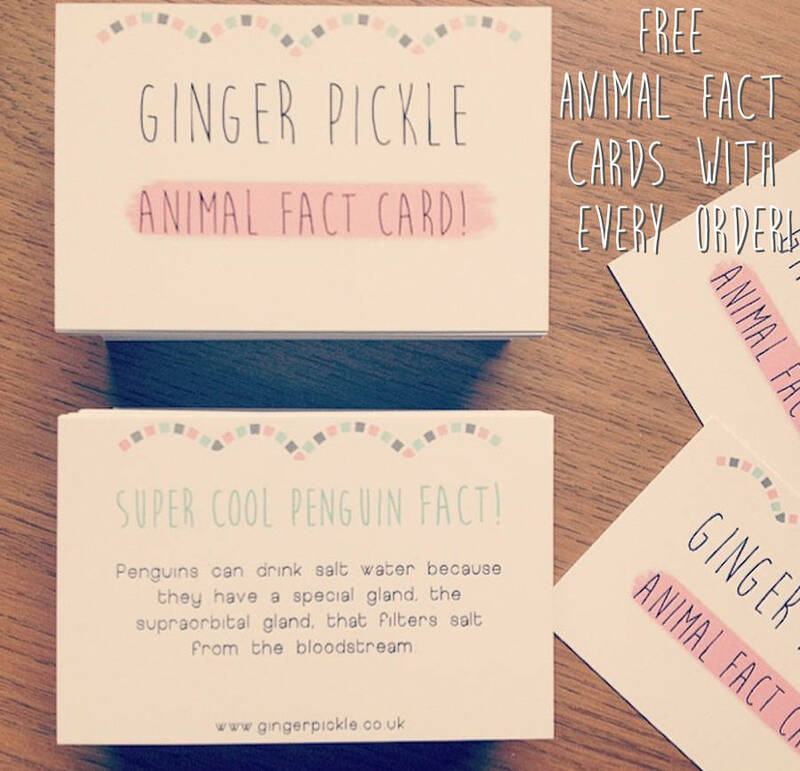 Your order will be packaged on branded card, sealed in a cello sleeve and popped in a glassine bag with some pretty ribbon to decorate, comes complete with a cute animal fact card! 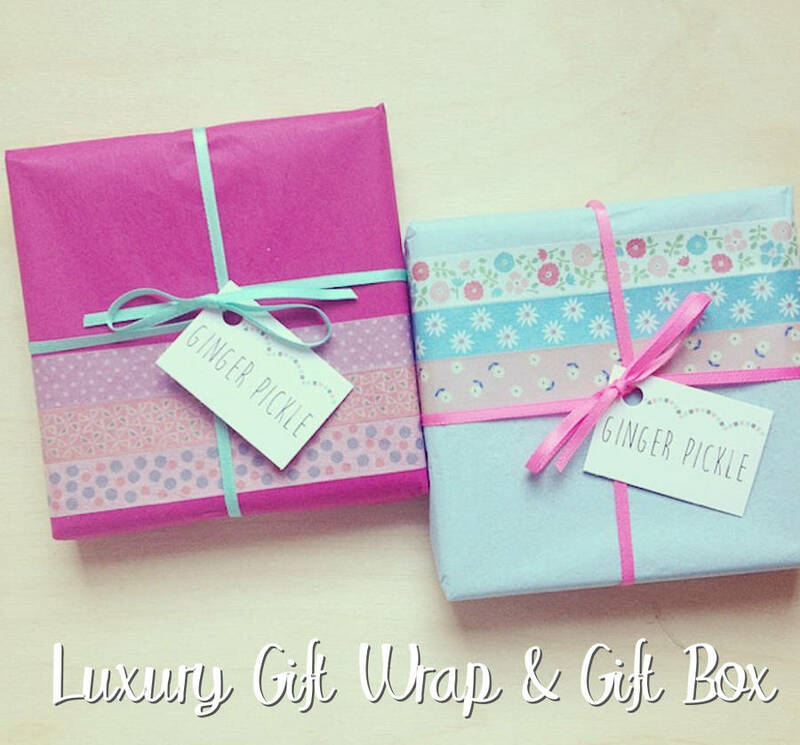 Gift boxes are available for a small charge instead of the standard gift wrapping option. 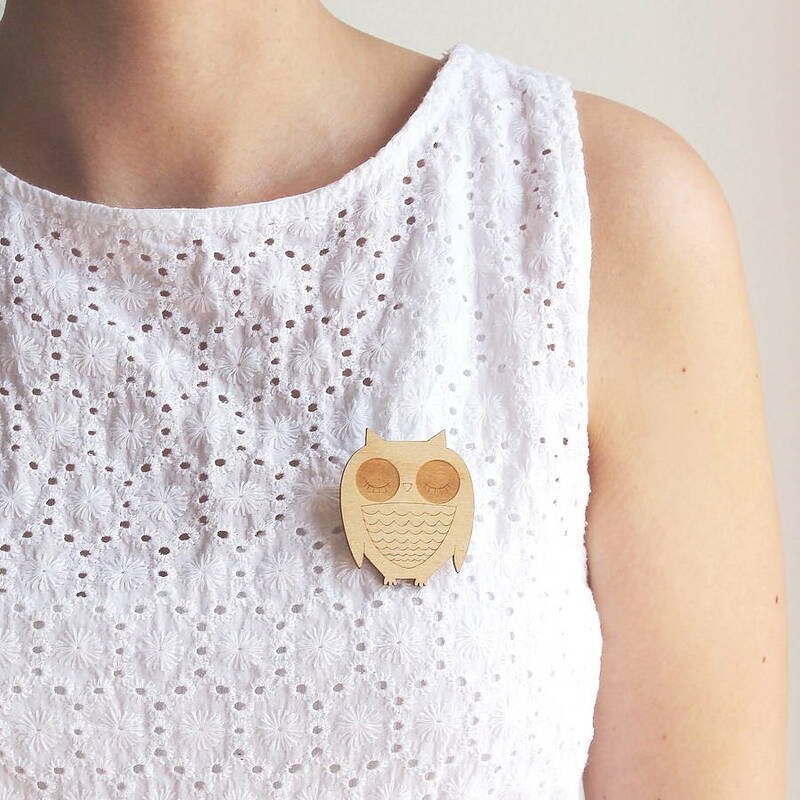 This wooden owl brooch has been laser cut from 3mm birch plywood and is glued securely to a silver plated brooch bar. 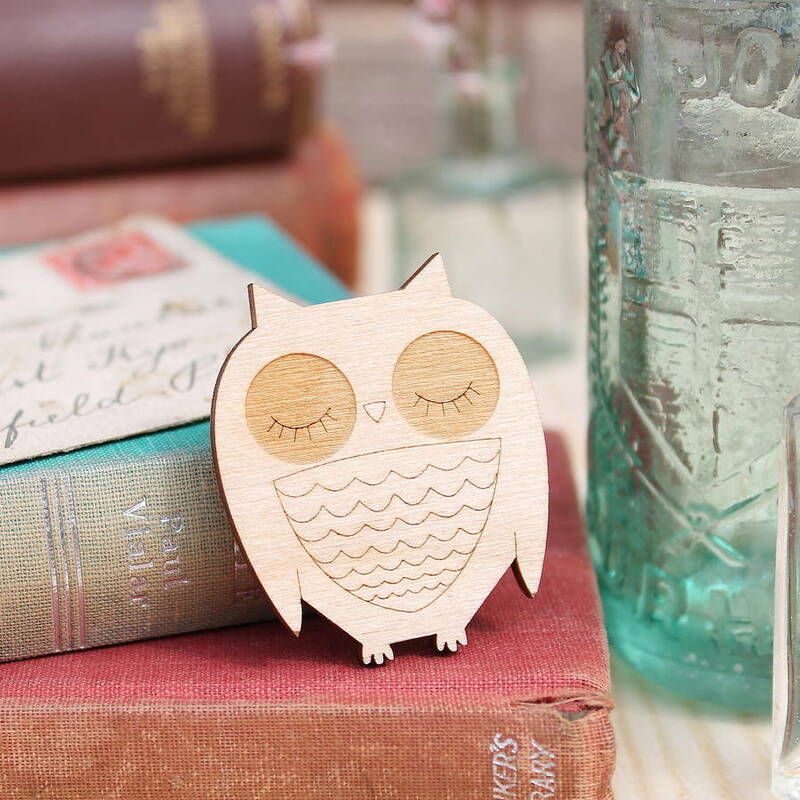 The owl brooch has been coated in wood oil to protect the wood and give it a beautiful finish. The wood comes from a natural source and is FSC certified, meaning it's environmentally friendly! Necklace- 3.2 x 3.8 cm. Chain length and colour available to choose from the dropdown menu. Hair grips-1.2 x 1.3cm. Hair grip colour available to choose from dropdown menu. Ring-1.8 x 2cm. Antique gold plated adjustable ring. Stud earrings-1.2 x 1.3cm. Hypoallergenic surgical steel earring posts with butterfly back.